Wood-based industries, forest consultants and private owners need accurate and reliable data about the state of their forests in order to properly assure the supply of raw materials in a sustainable way. They do this through forest inventories, but traditional options are expensive, laborious and time-consuming. More importantly, delays or inaccuracies in inventory reports could translate into large economic losses and biased management. In addition, industries do not currently have reliable information on future wood availability. This information can be the tipping point for business development in these kinds of bioeconomic industries. Approximately 5% of the world’s forests can be found in European Union countries and forest ownership patterns vary considerably across Europe. They vary from small privately-owned forests to large state-owned forests, and from small family holdings to large estates owned by companies. In fact, 60.3% of EU forests are privately owned, and inventories of these forests are necessary for many reasons. The market potential among different end users is enormous, and they can be roughly grouped into public and private segments. Founded in 2000 by 10 forestry engineers, AGRESTA provides services to forestry and environmental industries. In 2009 they adopted an R&D and Innovation policy that focuses on Remote Sensing, Climate Change, Technology and Forest Resource Mobilisation. After analysing the potential customer base for their services, they determined that the most relevant segment for their initial services is the private sector. This sector requires regular evaluations of wood as a source of raw material for EU Forest-based Industries. Additionally, they saw institutions, public owners, and forest associations as future customers. When Agresta started to develop ForestMap, an online forest inventory system, the integration of satellite data had not even been thought of. The system was designed to use mainly Light Detection and Ranging (LiDAR) data. LiDAR makes it possible to quantify the main forest variables of any plot, such as the volume of wood and its spatial distribution. It enables a higher density measurement of the vegetation structure than any other known system, with its main advantage over optical sensors being that it can penetrate the vegetation cover and thus capture information from different layers of vegetation. Initially, Agresta’s knowledge of forest and LiDAR technology was enough to imagine that this information, sound methodology, and well-built algorithms would be enough to create an inventory solution valued by the client. They created an online store for forest owners to purchase their inventory at the click of a mouse in a matter of minutes. This represented a revolution compared to traditional options. Previously, numerous and cumbersome measurements in the field were necessary: something that is much more expensive and time consuming than an online inventory system. Who could resist? When ForestMap was launched, the reality was very different than imagined. There was nothing like it on the market, so the team had no reference. Illusions and expectations predominate in the face of possible realities. 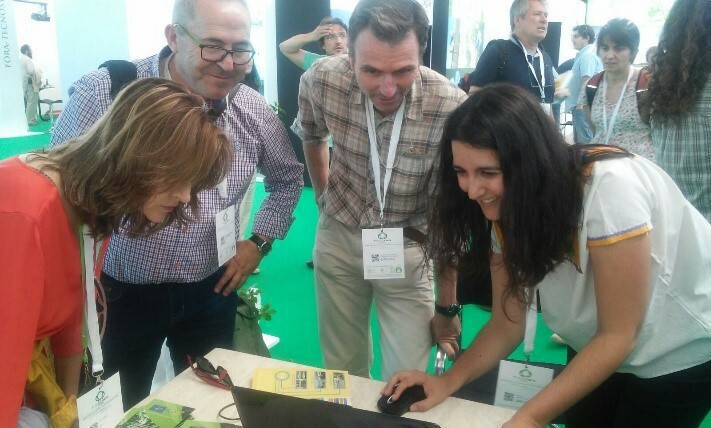 They realised that all the potential users found the tool pleasantly surprising and even revolutionary, but none of them were willing to use the online shop to obtain their forest inventories. Did Agresta need to change the channel? They had a lot of confidence in their system but they knew that it might not be as successful as expected. They also knew that they were offering a first version and improvements would come as they went along, incorporating new functionalities. In the first few months following the launch, the team ran a campaign focused on their core customer segment, offering free trials of 30 hectares. One of the objectives of this test was to promote the system, another to receive feedback after each test. However, user feedback was hard to obtain and scare. Why was it so hard to commercialise ForestMap? They didn’t know for sure as it was hard to draw conclusions from the minimal user feedback they received. The system was developed by engineers and developers with a fundamentally technical vision, assuming it was something that forest owners and managers needed. In fact, until the launch of the system, potential users had not been involved. They soon realised that neither ForestMap nor the market was mature enough for commercial success and that the road ahead was long. So, they decided to change their strategy and further develop the product based on valuable information from future clients. They prototyped their tool based on the needs, problems and perceptions of users. They were inspired by Lean Start-up methodologies and started using A. Osterwalder’s business model canvas to formulate their user-centred hypotheses. They also expanded the range of potential users that were not initially considered. By simply using ForestMap, these kinds of users would discover new uses that were not previously imagined. The team at Agresta could then develop the system in these directions. The work was structured in cycles of approximately two months, during which personalised demonstrations were made to users with different profiles in order to get live feedback. This synthesized information was presented at meetings for the team to better understand the customer’s needs, identify opportunities and make decisions about what new functionality, improvement or action would be implemented and tested. Thanks to this process they identified the clients that held the most potential and understood the key problems to solve. The need to incorporate satellite data became more and more evident. It has been one of the most valuable lessons learned. Open data from the Copernicus program provided further evidence that they needed to integrate satellite data into the ForestMap system, so they began the recruitment of new PhDs specialists in remote sensing. With Copernicus satellite remote sensing, changes can be updated and incorporated into the system. Another great contribution of satellite data is the ability to classify forest species, although adjusting the algorithms is an important challenge. Agresta expect to reach a sufficient level of reliability to improve their model’s accuracy, especially in areas of mixed forests. Throughout this process Agresta saw the opportunity to export ForestMap to other countries. As done in Spain, they worked with users to obtain valuable information about their needs and their willingness to use a system such as ForestMap in their own countries. During this process further limitations of LiDAR data availability were detected. Although several countries in Europe have these data, and in some cases available for free, this is not the case everywhere. Should more territories be incorporated into ForestMap, they need to integrate other remote sensing sources. In this sense, Copernicus presents a great opportunity, providing free open data to create satisfactory solutions for the needs of particular customers. In short, thanks to the new approach of working in a prototype mode, not only did they reduce customer frustrations, but they could review the investment plans and payback time. Any innovative project of this size, disruptive in the forestry sector, needs a long maturation time. Each step they have taken so far has helped them to learn what to do next. 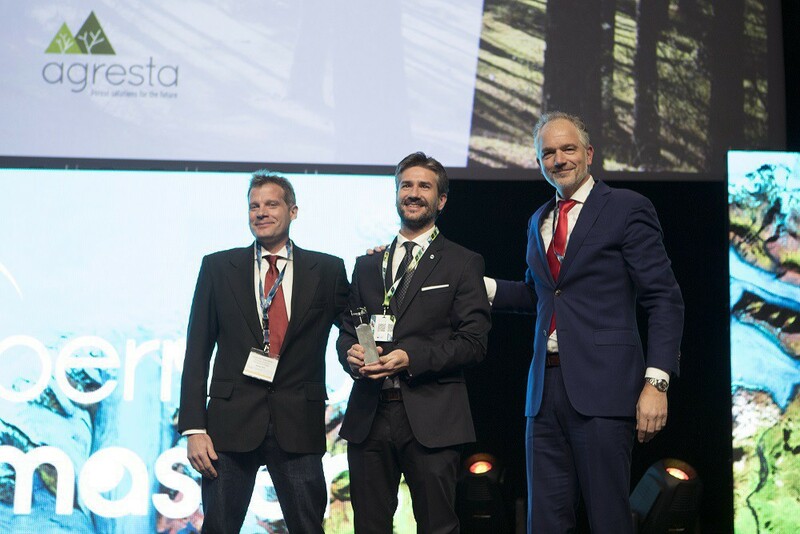 In 2018, Agresta won the CGI Big Data Big Business Challenge of the Copernicus Masters. This was celebrated as a great success for Agresta and they are really proud of ForestMap’s development. In terms of visibility, the award allowed them to showcase the potential of their idea, as endorsed by ESA. Close collaboration with CGI can enable both parties to provide real-time forest measurement, assessment and monitoring solution on a global scale. ForestMap will allow users to measure and monitor forest areas anywhere, any size, in near real time at a very high resolution. Conducting a forest inventory using the ForestMap platform requires minimum planning, guarantees an acceptable bias (targeted below 15%), requires no additional field work and it is delivered almost instantly. The whole process can be conducted in less than half an hour and costs a fraction of the price compared to traditional methods. In addition, if forest parcels happen to be fragmented with small size areas, ForestMap offers unprecedented results compared to traditional methods. Agresta continue with their ambition to incorporate different data sources and technologies, while taking their customers into account. The usefulness of a service is decided by the clients, so the more they are involved in the development, the easier it is to succeed. After graduating as a Forestry Engineer from the Polytechnic University of Madrid in 2000, he became an AGRESTA promoter and partner. He has been holding the Managing-Director position since 2010 and participating as a member of the AGRESTA management team since 2006. After graduating as a Forestry Engineer from the Polytechnic University of Madrid in 2001, he specialised in Geo-Information Science, forest management and logistics and on innovation and business development. Since then, David has joined numerous projects as project manager and coordinator both in Spain and France. Since 2016 David is the innovation coordinator of AGRESTA.